Anise (Pimpinella anisum) is in the parsley family of botanical plants. The essential oil is obtained through steam distillation of the seeds and it is grown primarily in Turkey where it is distilled. Anise is an annual herb that grows less than 3 feet in height. It has delicate leaves and white flowers. Traditionally anise has been grown in Turkey since the 14th century and in England since the 16th century where it was widely used as a domestic spice. Historically this oil was used for coughs and bronchitis but also as a treatment for whooping cough. In Turkey a popular alcoholic drink called raki is made from the seed. Anise is listed in the Dioscorides' De Materia Medica AD 78, Europe's first medical guide. How Can Anise Essential Oil Be of Benefit Today? Today we would identify anise as helpful to the respiratory system and it can be stimulating and supportive to the digestive system. It is also considered anti-coagulant, anesthetic/analgesic, antioxidant, diuretic and antitumoral. It can be used for arthritis/rheumatism and for cancer. Pharmaceutical companies have used anise essential oil in cough mixtures and lozenges and to mask undesirable flavors in drugs. 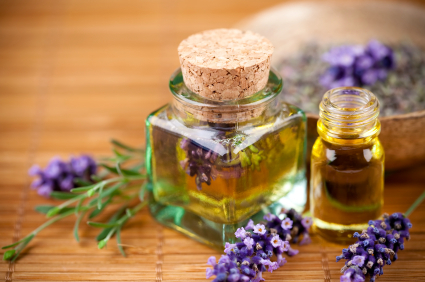 The essential oil can be taken internally but is best used in blends. It blends well with peppermint, fennel and spearmint. It can also be diluted 50-50 and applied on location, on the chakras or vita flex points, directly inhaled or diffused. Because of its high anethole level which is known to cause dermatitis, anise is best avoided in allergic and inflammatory skin conditions and avoided during pregnancy. Want to learn more about the healing properties of anise and other essential oils? Consider becoming a certified aromatherapist. Educational courses in healing energy and aromatherapy can help you understand how essential oils heal the body/mind/spirit. the Institute of Spiritual Healing & Aromatherapy teaches courses throughout the United States on aromatherapy and energy healing. By Going to my web site: http://www.ISHAhealing.com and signing up for our free monthly newsletter, you can receive a free gift: 5 Monographs on Biblical Oils. These oils include Frankincense, Myrrh, Cedarwood, Spikenard and Balsam Fir. While you are at our web site, check out our aromatherapy program and our program in Christian energy healing. From Linda L. Smith, director of the Institute of Spiritual Ministry and Aromatherapy, Inc.